Tempe and Redflex aren’t talking because, well, their talking points are now gone. Any justification either one had left for the ring of scameras found within that city can no longer be used. Photo radar is now costing everyone in Tempe money for legal fees, regardless of whether they’ve been ticketed. Unfortunately for them, they don’t have that option anymore. 3TV tried to get both sides to comment on their impending lawsuit and both declined. It’s a good thing we all know what the score is! I was sitting at the Starbucks on the SE corner of this intersection today (Wed, Nov 19, 6:15 pm). The camera monitoring E-W Guadalupe traffic is having an epileptic fit, flashing every couple of seconds on legitimate traffic (only when E-W travel is moving). I’m just waiting for the inevitable crash that this is going to cause, although it’s kind of funny to watch the light show. Love your site, keep up the good work. I drove by McClintock and Guadalupe the other night and the camera was malfunctioning. It flashed on every (no joke) car that went through the intersection on the GREEN light. The light had just turned green so no one was speeding. Bottom line, I don’t trust those things. i think i was there when that happened!! i think it was wednesday or monday night around 9:20pm. That camera flashed me when i went on a green light, and all the other cars behind me as well, there better not be any ticket in the mail!! I live near that intersection. It does that all the time!! I swear at least once a week it will flash for every car during a certain cycle right after the light turns green. I was there when that was happening! It really was taking everyone’s picture. I live near there, but that was the first time I’ve ever seen that happen. If I get a ticket in the mail, it’ll be going right in the trash. What a joke. Tempe’s scam operation is headed by Redflex. 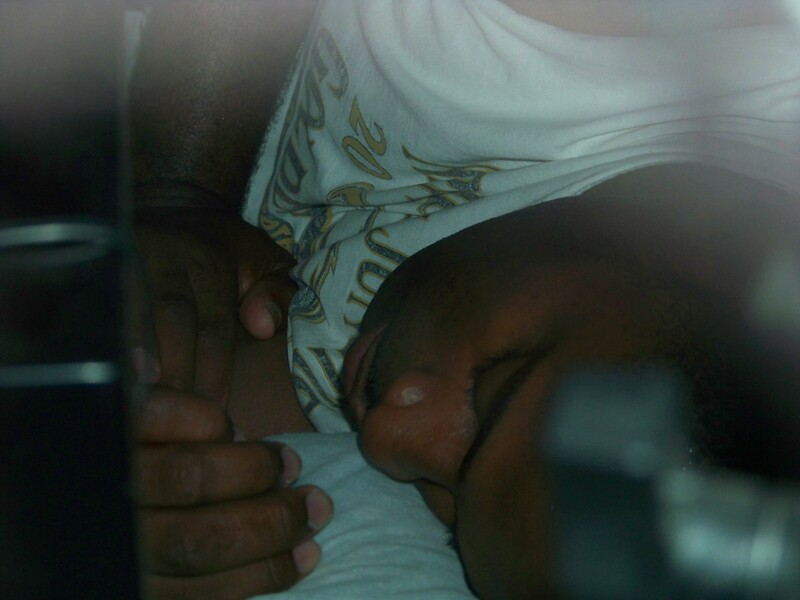 An employee of beleaguered Redflex Group was caught sound asleep on the evening of Saturday, October 18th while “operating” a speed trap on behalf of the City of Tempe. The van –engine running, of course– was parked in the 2300 block of East University, targeting eastbound traffic. The driver, who appeared to be in a partial state of undress, had removed his company-issued red polo shirt and was curled up in a ball on the floor of the vehicle. Apparently awakened by the flash of the camera (oh, the irony), the man quickly threw his company shirt back on and appeared to be engrossed with what sounded like a football game playing on a small screen inside. He is risen! Driver pictured immediately after waking up and throwing his red polo shirt back on. Van drivers are responsible for driving vehicles to target locations, ensuring the vans are not vandalized, as well as acting as a witness for the integrity of the electronic equipment if called to testify in a court of law. Redflex and the City of Tempe are no strangers to personnel trouble. Earlier this year, the Arizona Secretary of State condemned a Redflex notary for violating no less than four laws relating to document integrity and accuracy. 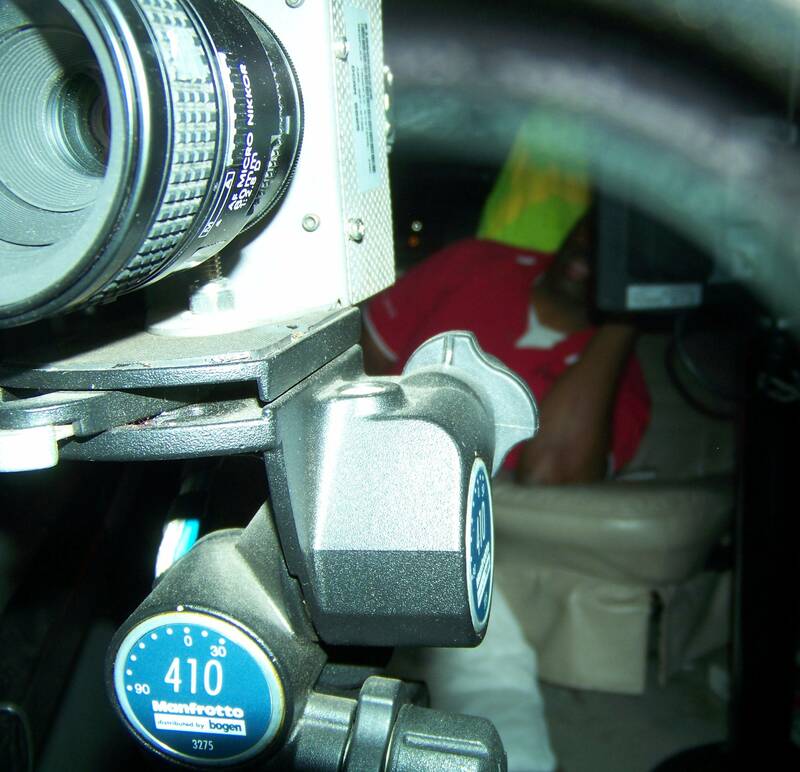 In early September, a Redflex van driver was arrested for extreme DUI while driving a photo scam van destined for Tempe’s streets. Later that month, CameraFRAUD.com released a controversial video showing a process server caught using derogatory and racist language while attempting to serve a Redflex-generated photo ticket. UPDATE: KFYI 550 AM has picked up this story. It was observed that some motorists appeared to slow down to less than 20 MPH while attempting to read the large, handmade signs. The van was purposefully located in a construction zone, and traffic appeared to be generally driving at or well below the posted limits. 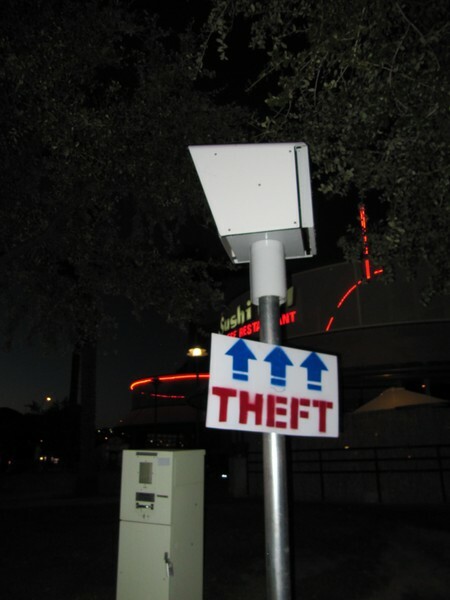 Tempe’s photo enforcement program is ran by beleaguered Redflex Group, based in Australia. Additional details about this event will be posted as they become available.